Regardless of fascinating, lightweight and very handy Tablets are, but they have lot of limitations to do than a traditional Laptop. Here we see the limitations to a Tablet that you will still want to buy a Laptop but not a Tablet. Cost is another issue with the Tablets? 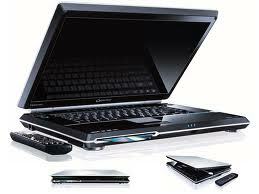 Due to compact technology Tablets are high prices than a laptop with latest accessories configurations. When kept in a bag there are chances of screen damage to a tablet but the lid over laptop take a good care of you laptop Screen. Laptops offer a high graphical Videos Games which can be run from a DVD or Online but tablets offer only few traditional and single player games. Even you can’t upgrade the storage capacity of iPAD2 over its designed 16GB. Can you bear this? Some tablets have even no USB ports!!! But with laptops you can connect a variety of external devices with various ports already provided, Even Some laptops are offering USB 3.0. Yes I am going to talk about the main thing that an Electronic device is fighting for… That is Speed or Processor Speed. With Tablets you can do one or hardly two jobs at a time, but with a laptop run many task at a time, check emails, listen to songs, downloading files in background, opened and working of document files too with no compromise of speed and your work. With laptop running out of Storage space? Just upgrade the hard disk? It performs slow when you high graphical games? Upgrade the RAM! But what will you do with a tablet when you have no any option to upgrade things like? You can do the entire things with a laptop as with your Desktop PC, You can work with the most familiar and every day used Documents program, MS Office, though you would have few latest software with tablets to work with documents but those will be new and you will have to be accustomed with before working on that. When buying a Tablet you are always confused that which platform tablet you should have! Either it should be Apple, Google Android, Blackberry or something else. Each platform has their specific and limited applications. With a laptop you need a USB cable to connect with your Mobile and charge it but with a Tablet you need to carry chargers and adapters for both tablet and Mobile.